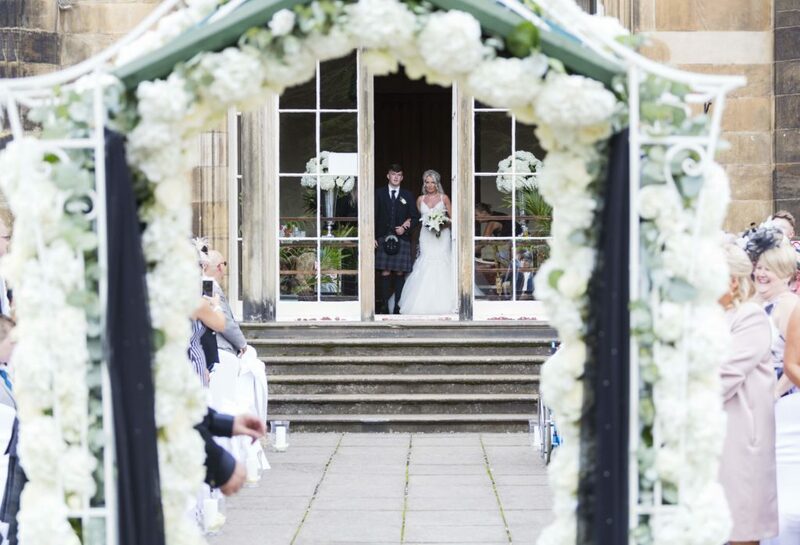 Maxine and Joseph chose the luxurious setting of Marr Hall to tie the knot in front of family and friends. 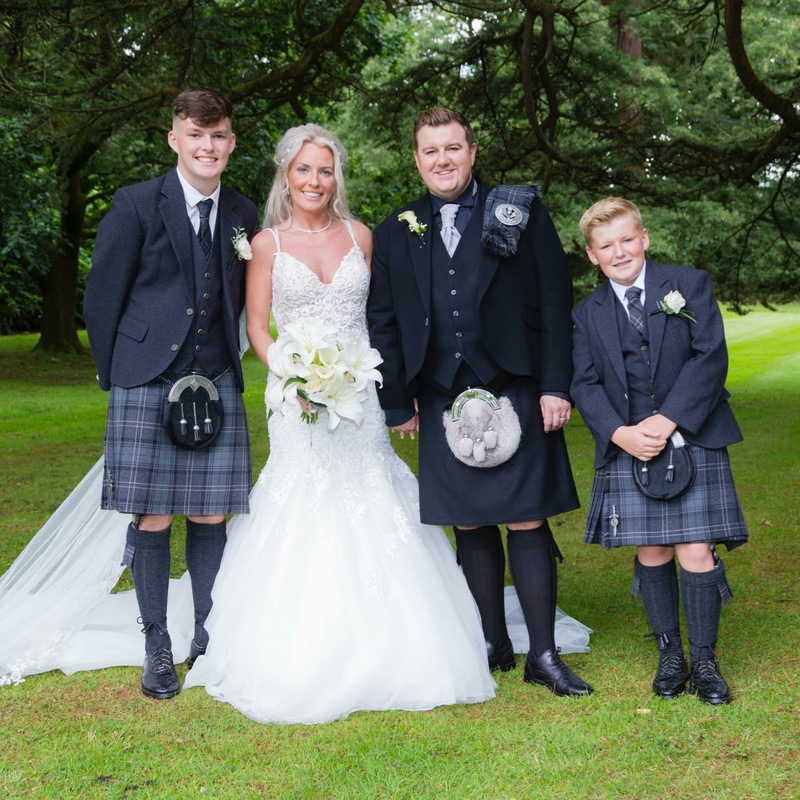 Located just ten minutes from Glasgow, Marr Hall is an idyllic setting for a wedding and it was great fun building the floral archway and setting up the wedding flowers in the summer sunshine. 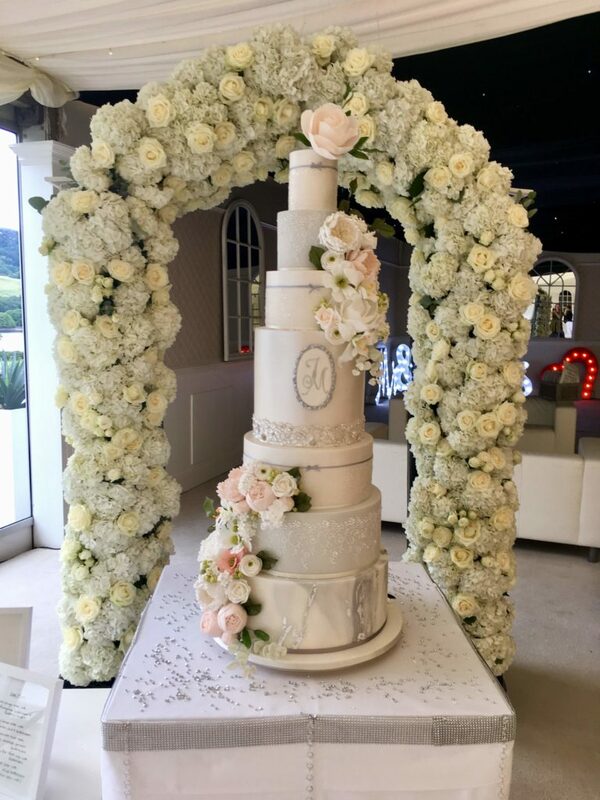 The flower arch was lovingly made with hydrangea, bombastic spray roses and Avalanche roses and featured in the wedding ceremony, cake cutting and wedding photos. 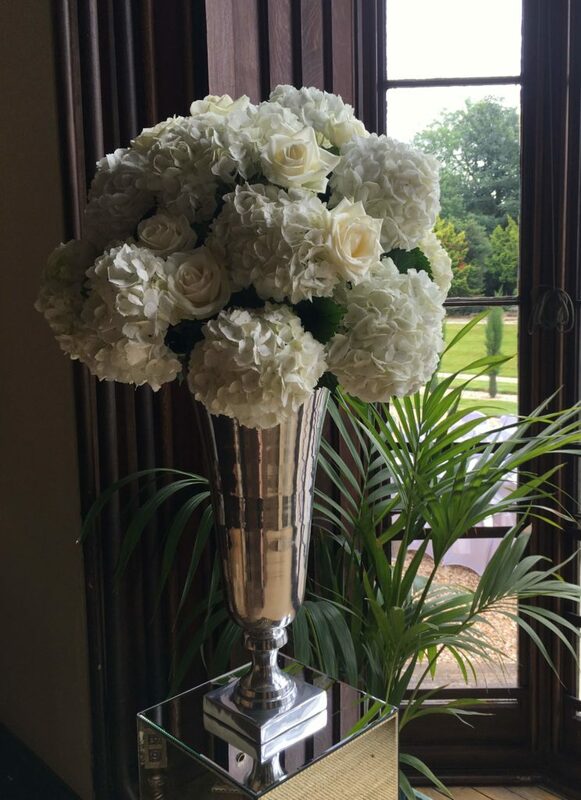 I also created two large silver urn arrangements with the same selection of flowers. Urns, vases and floral archways are well suited to larger venues, or wedding venues which require a focal point such as converted barns or gardens. 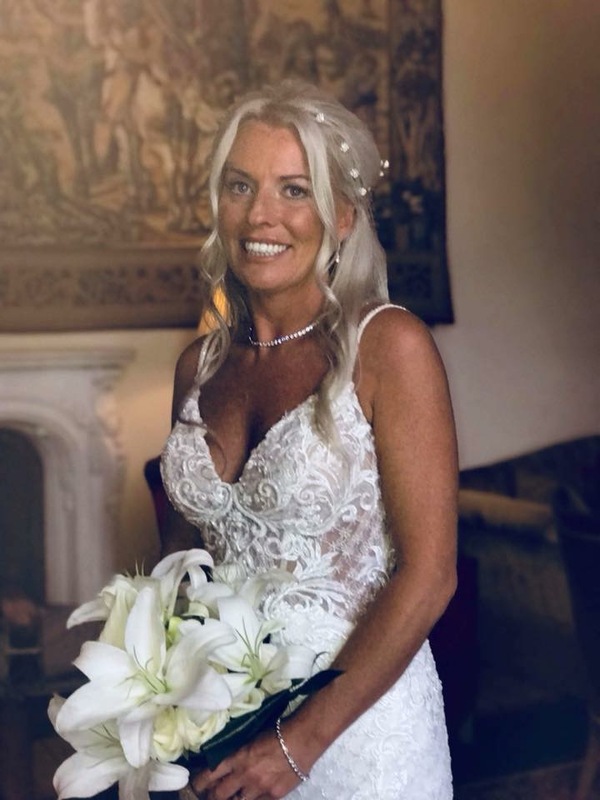 Maxine’s elegant bridal bouquet was created using white oriental lilies, Cala lillies, and spectacular Norma Jean white roses. Gypsophilia posies were the bouquets of choice for the bridesmaids. A single white rose buttonhole added the finishing touch to the groom and ushers suits. Congratulations to Maxine and Joseph, a lovely couple. Wishing you every happiness in your life together. Find inspiration for your own bridal bouquet and wedding venue flowers on my website, or join me on Instagram and Facebook. 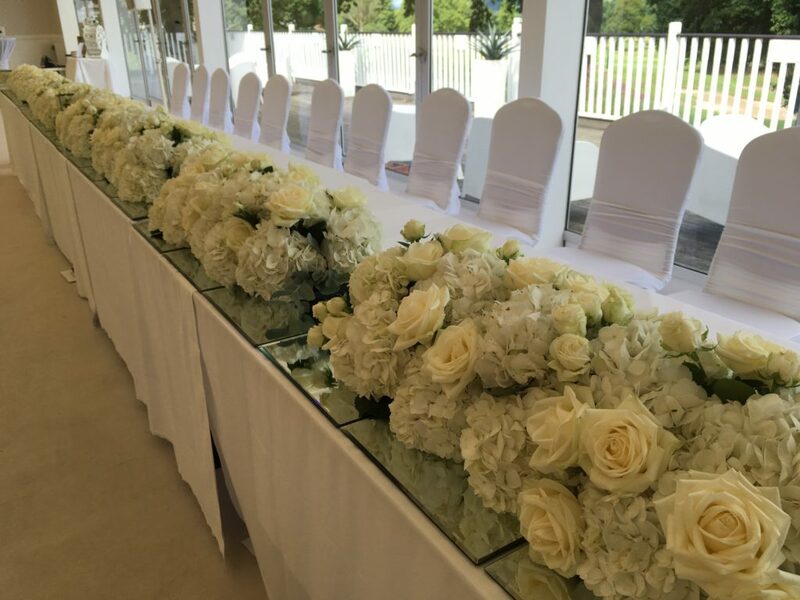 #NicoleDalbyFlowers I offer free consultations so do get in contact with the date of your wedding, and we can discuss your ideas, budget and wedding plans over coffee and a cake. Wedding cake by Sheila Jones of Mrs Jones Cakes.